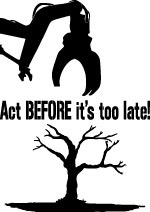 DISCLAIMER: The following text serves only to give an overview and clearer understanding on political actions used in the anti-coal movement in and around the Hambach forest. The writer/s take no responsibility for the actions of any individual or group. With all that said: Have fun!!! In order for our movement for the preservation of the Hambach Forest and for the immediate coal-phaseout to be effective, we also need to be active in and around the forest! Political action can take many shapes and forms. Whether symbolic or direct, legal or clandestine, peaceful or militant, all actions contribute to the cause! The diversity of tactics within our movement makes us stronger, and gives every person the possibility to take part, in the way they feel most comfortable. The following text is a brief overview of different ways to be active in and around the Hambach Forest, and serves as a source for inspiration. Symbolic actions are acts of public protest, in which you through the use of colourful or theatrical methods to communicate a political message, or inform people about a political topic. Using public spaces to make political performances is a good way to catch peoples attention and interest, and showing the creative elements of a political movement, giving a good picture in the media. Examples of symbolic actions include: street-theater, musical performances, clowning actions, and banner-drops. Direct action is an umbrella term for many forms of political action, that directly interfere with political and economic structures. 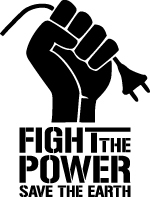 Instead of getting politicians to change society, people would act by themselves, without giving power to representatives. In the context of the struggle in and around the Hambach forest, direct action usually takes the shape of blockading-actions or actions of civil-disobedience effectively hindering the cutting of the forest, and disturbing the extraction and burning of lignite-coal by energy-giant RWE. Besides the structures in the trees, blockading the streets inside the forest have also served as effective methods to delay the work of RWE and police forces. These blockades can either be structural or human. Structural blockades like tripods, monopods, or barricades, serve as good obstacles stopping vehicles and machines from moving freely around the forest. These obstacles can even be occupied, preventing police or RWE from simply destroying the structures. Human blockades, where a larger amount of people use their bodies to block the machines, have also been extremely effective in halting vehicles and machines inside the forest. This kind of blockading is easy to organize, requires very few skills, and usually do not lead to higher amounts of repression. In the trees as well as on the ground, these methods can easily be combined with the use of “lock-ons”. These are devices, with which a person can lock their body onto structures (barricade or a tree-house) or onto machines (bulldozers or cherry-pickers), in order to make it harder for police or RWE to remove them. A lock-on can be light and mobile, to be used in a quicker or more spontaneous situation, or heavy and stationary, taking longer time for the police to break through it. 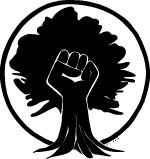 Outside the forest, as well, activists have been making large and diverse contributions to the struggle, in the shape of direct actions against the coal-infrastructure. RWE has three active mines, that are all connected in a huge net of infrastructure all over the region. From the point of extraction, across several modes of transportation until it reaches the power plant, there are many potential and effective goals for action: diggers, conveyor belts, the railway, or even the power-plant itself. 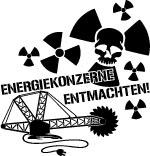 In mass-actions like Ende Gelände or in autonomous small-group actions, activists have managed to occupy these strategical points, shutting down parts of RWE’s infrastructure. Autonomous actions like these can be incredibly effective, as a smaller group of organized people can manage to shut down important points of infrastructure for longer time. Hypothetically(!!! ), if a criminal element had the intent to direct well-aimed destruction (otherwise known as “sabotage”) towards the tools, machines or infrastructure of RWE, many potential targets would be of interest… Hypothetically(!!!). Looking from a purely historical perspective(!!!) goals of former clandestine actions have included: energy-cables, pumping-stations, train-tracks, and vehicles and equipment used for clear-cutting. As these purely theoretical(!!!) actions are also the most criminalized, it would be in the interest of a potential criminal element, from a legal point of view(!!! ), to leave little or no traces behind, like DNA or finger-prints. While some actions are easily accessible and require little or no experience, others do require some specific skills or knowledge. Whether you want to do a sitting-blockade in front of a harvester, block the railways with a tripod, or climb around on the power-plant, there are many possibilities to learn the necessary skills. Several times each year, so-called “Climate-camps” take place, where people from the climate-justice movement can meet, network, share their skills and take action. Here, as well as at “Skill-share” events all over Europe, you can take part in workshops about different forms of direct action, as well as living hierarchy-free lives. Also outside the larger events it is possible to learn these skills. Groups like Ende Gelände and Aktion Unterholz also continuously organize action-trainings for mass-actions of civil-disobedience. As mentioned before, action-climbing, if done incorrectly, brings with it high-risks. Therefore it is important to learn climbing properly, before taking these methods into use. These workshops also often take place at “skillshare-events” in or around forest occupations, like the Hambach Forest or the Treburer Forest near Frankfurt. Learning proper action-climbing can also be achieved through spending longer time in projects like the Hambach forest. As the German state has no interest in the dismantling of fossil-fuel capitalism, they will use every weapon they can to criminalize and break our resistance. State repression has many shapes, police violence, fines, or imprisonment, but together in solidarity we stand stronger than them! There are several groups offering support in regards to repression and legal issues. 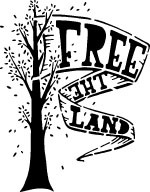 Unten Lassen and Anti-RRR do legal support for criminalized activists, and ABC Rhineland does prisoner-support for imprisoned anarchists, activists, and others connected to the movement.